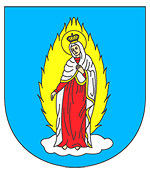 The city of Ternopil oblast. 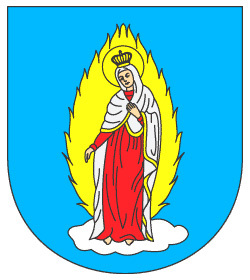 Pochaev (Pochaiv, Pochayiv, Pochayev) is a small town located in Kremenets district of Ternopil region of Ukraine. 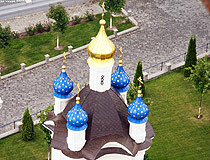 The nearest railway station is situated in Kremenets, about 25 km away. 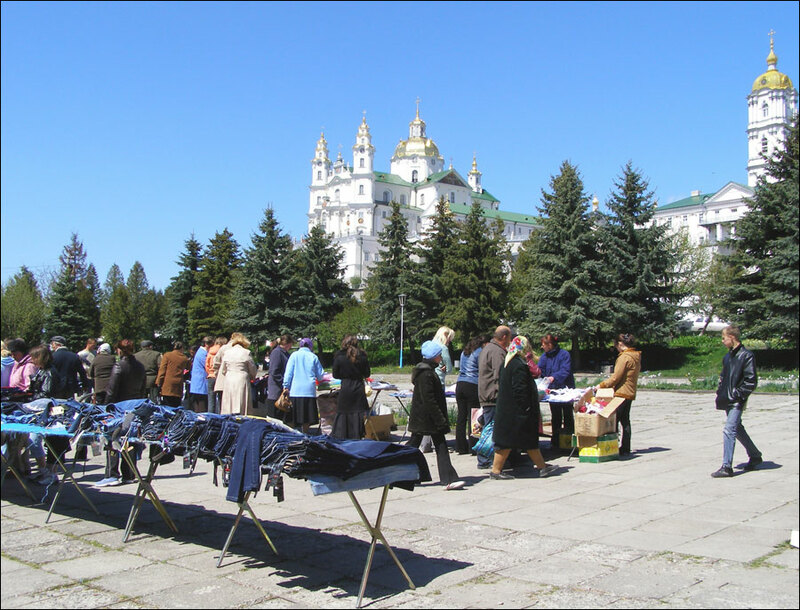 The distance to Ternopil, the capital city of the region, is about 50 km. Area code - +380 3546; postal codes - 47025-47027. 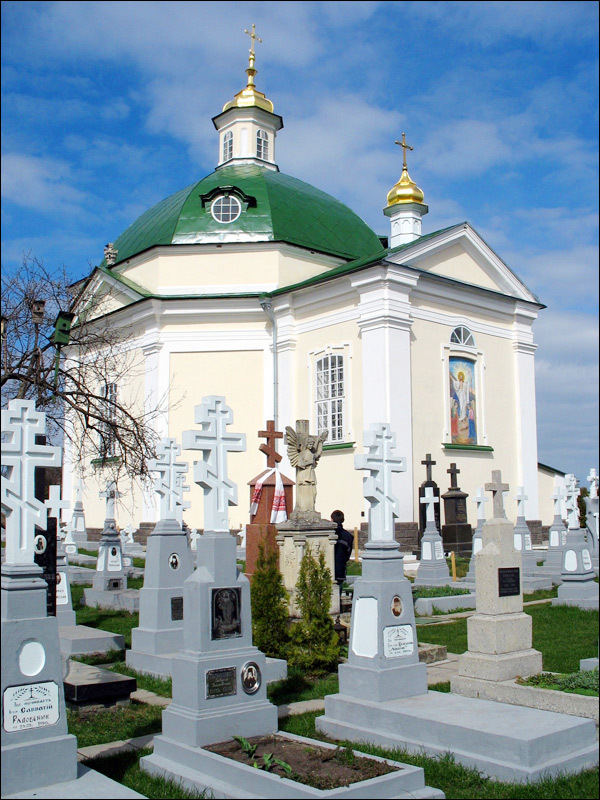 Local time in Pochaev city is April 22, 5:11 am (+2 UTC). 3 October, 2016 / Let's fly over Holy Dormition Pochayiv Lavra. 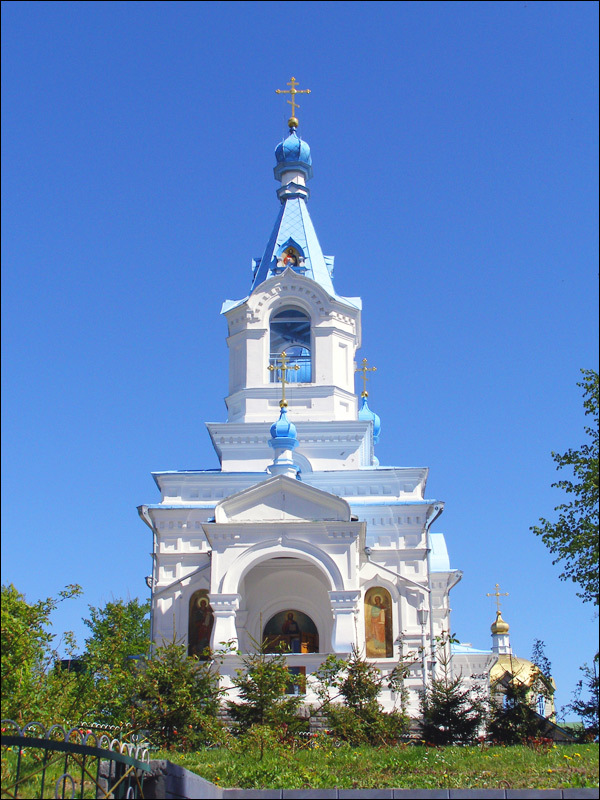 8 October, 2013 / The Holy Trinity Cathedral of the Pochaev Lavra. 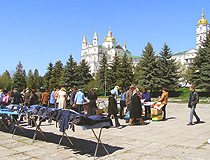 2 June, 2011 / Holy Dormition Pochaev Lavra. 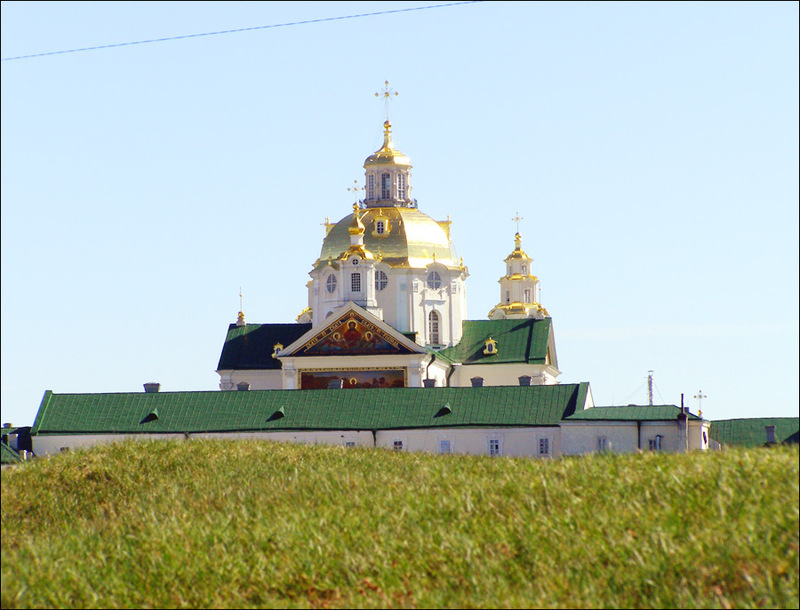 According to legend, Pochaev monastery was founded by monks from Kiev-Pechora lavra who escaped from the invading Mongols in 1240. The first record dates back to 1527. 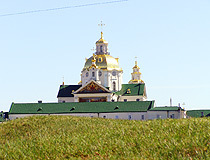 In 1597, the local landowner Anna Goiskaya gave the monastery land and estates. On August 2, 1675, Turkish-Tatar army approached Pochaev. 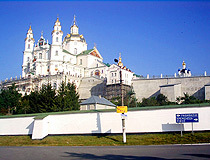 All the people gathered in the monastery which was surrounded only by a wooden fence. Everyone able of holding a weapon defended the monastery. Those who were not able to do it kept praying in front of the Virgin icon at Trinity cathedral as it was their only hope. 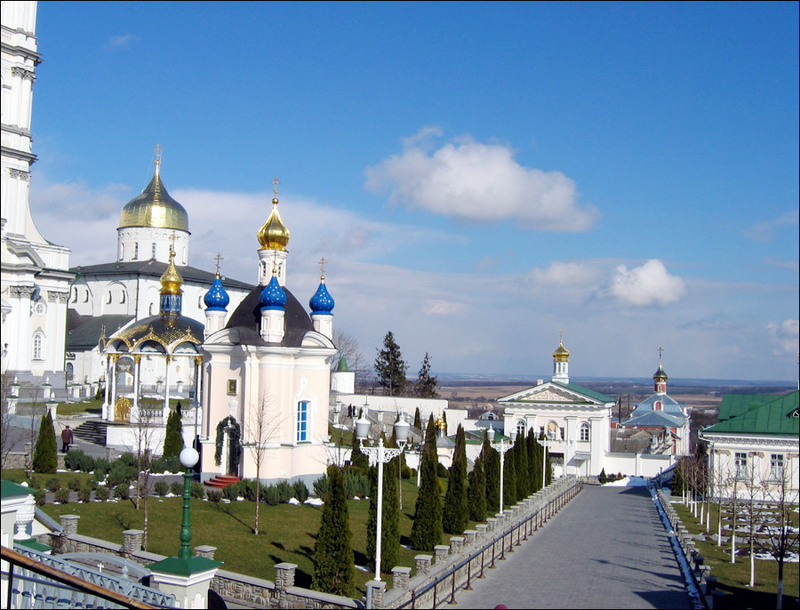 The defenders of Pochaev monastery fought two days but the forces were uneven. According to legend, suddenly, the clouds were gone and the Virgin appeared above the cathedral surrounded by angels. Turks and Tatars saw them and began to shoot arrows at the heavenly image. But the arrows came back and killed those who sent them. 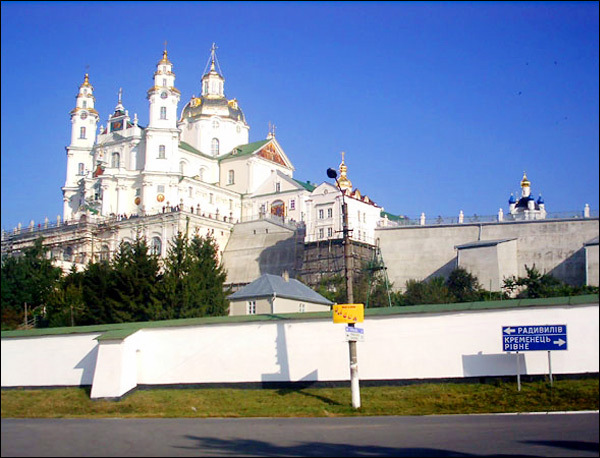 Pochaev monastery was saved. The monastery was rather famous in the first half of the 17th century, due to the Father Superior Iov Zheleza (1551-1651). 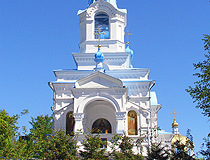 From 1713 to 1832, Pochaev monastery was a Greek-Catholic monastery. 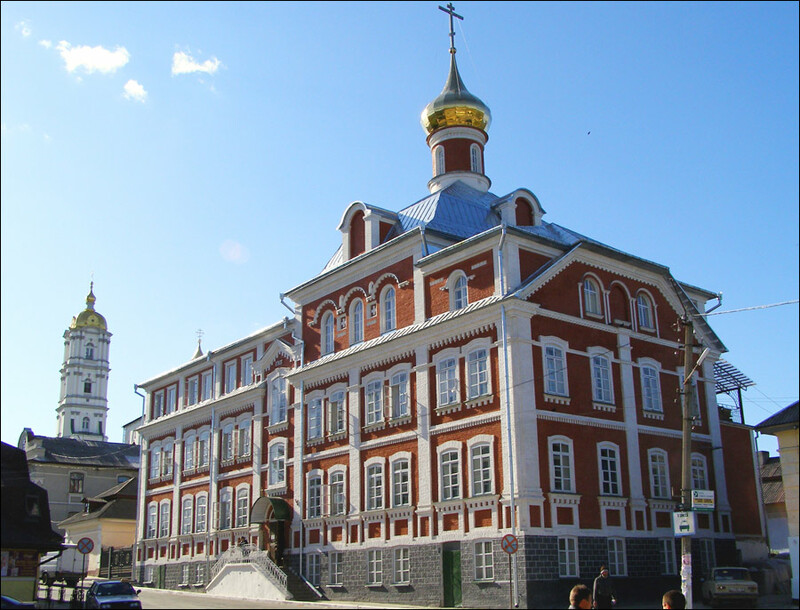 In 1730, Pochaev printing-house was opened, 187 books were published. 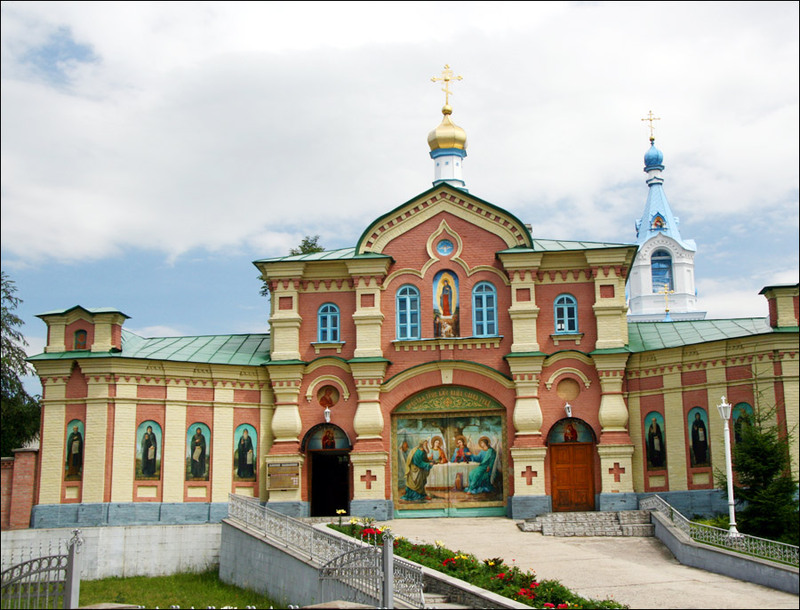 The lavra is rich in wall paintings, sculptures and ornaments. 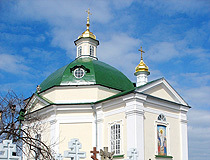 The town is known all over Ukraine and abroad for the Holy Dormition Pochaev Lavra, the second largest Orthodox monastery in Ukraine after Kiev-Pechyorsk Lavra. 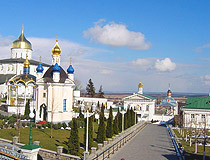 The monastery stands on a 50 meter hill above Pochaev. 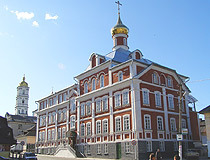 The monastery was first time mentioned in written sources in 1527. 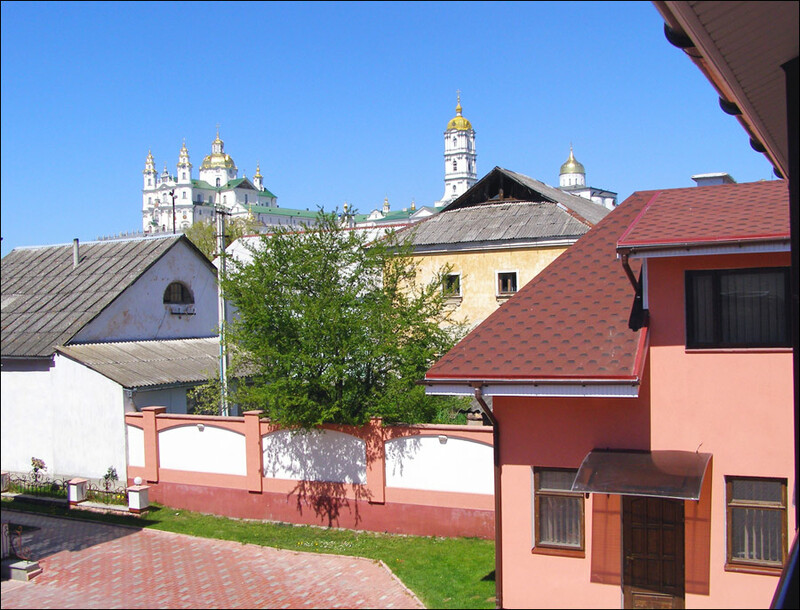 But, according to local tradition, it was founded in the 13th century by monks who left Kiev monastery during the Mongol invasion. 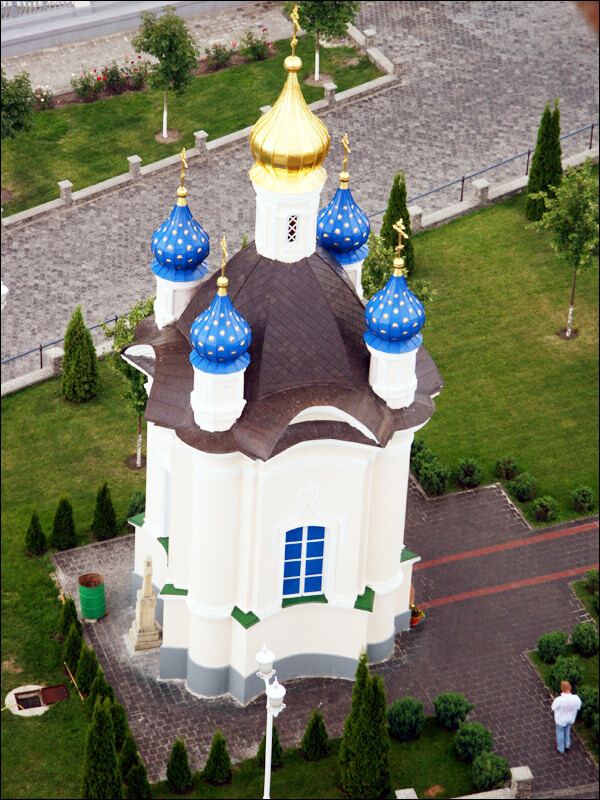 In 1712, the Russian Tsar Peter the Great visited the monastery several times together with Feofan Prokopovich (the reformer of the Russian Orthodox Church). The house above the gates (1835). You can get there by buses running from Lviv and Uzhhorod. Also, it is possible to go by trains, the station is called Radivilov. It is 25 km from Pochaev, but there are a lot of mini buses at your service. Also, you can get off at the station in Ternopil, mini buses to Pochaev are available from it. There are buses going from Kiev railway station too. eugene asks: Is there a public russian banya at Pochaev? Unfortunately I haven't found any information about a public russian banya in Pochaev.